“What brought my fascination with Sarah Palin when she first appeared on the political scene was a reading 20 years ago of a now famous book — Steve Bannon’s favorite book — “The Fourth Turning" by William Strauss and Neil Howe. With the sudden appearance of Palin it was possible to see the rise of new political archetypes and forms and they are now upon us. Narrator: "Palin became the voice of a growing number of republicans who were fed up with politics as usual in their party....Palin was the beginning of a challenge to the establishment that would only grow over time." Palin was the beginning. Palin brought the age. Trump turned the key. 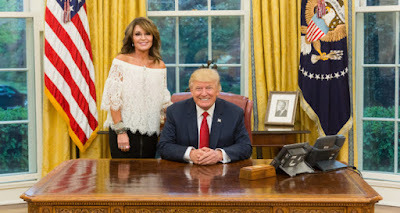 Now, I am not trying to take anything away from President Trump and make it sound like he had nothing to do with his political rise and this was all because of Palin. Trump had and still has an ability to connect with voters and was savvy enough to embrace issues that conservatives, independents and Reagan Democrats were most concerned about even though those issues may not have been much of a concern to him a few years prior to running for president. But to those who do not buy the theory that people like myself and Quigley subscribe to, I ask, what was Trump doing four to six years ago? Where were his crowds back in 2011 when he first flirted with running for president that year? 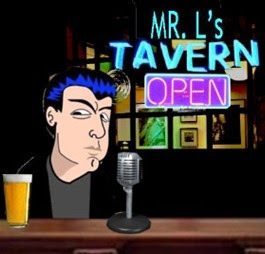 What were the political issues that he discussed? During the birth of the Tea Party movement in 2010, Trump gave mostly to Democrats and establishment favored Republican candidates. As far as issues go, the only issues that Trump talked up consistently then and now are the issues of trade and China. To his credit, he is working diligently to make good on those campaign promises of trade and relations with the superpower China. But a couple of years ago, Trump really didn’t talk about immigration, the very issue he embraced in the 2016 campaign cycle. He really didn’t discuss law and order. In fact, the main issue that he seemed to be building a campaign on when he first flirted a run for president in 2011 was Obama’s birth certificate. What about his crowds? When Trump fever began to take off of the Summer of 2016, he was drawing massive crowds. Anytime I saw those crowds on TV or pictures of them on the internet I thought, most of these people are Palin’s people. If you don’t believe me, just look at Palin’s crowd sizes as opposed to Trump’s crowds just a few years ago. I’m not talking about the huge crowds she drew in 2008. You have to look no further than the CPAC conference back in 2013. As you can see in the first picture, Trump spoke in front of a tiny crowd that year. 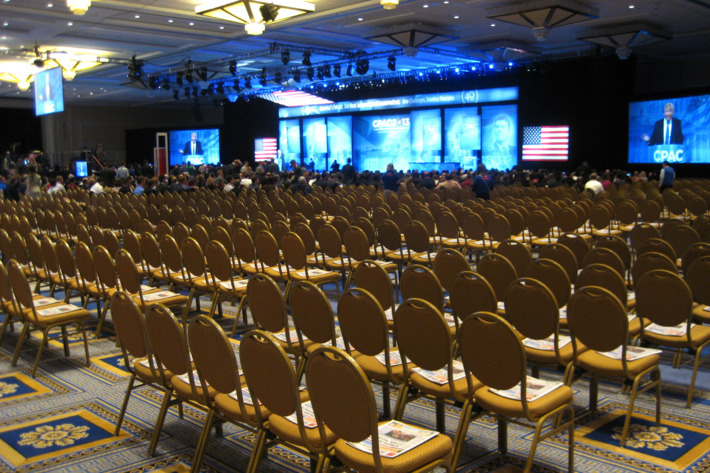 In the same ball room the following day, Palin packed the place. I was told by someone who attended her speech, the place was so packed they had overflow going out into another ball room. Who makes up Trump’s base? I would argue many of Trump’s base were from Palin’s base. These are people like myself. I loathe Democrats but I also do not trust doctrinaire establishment republicans. Voters like me don’t like Karl Rove and PACs like America Double-Cross Roads. We’re sick of both Nancy Pelosi and John McCain. We’re sick of the pundit class. We’re sick of Conservatism INC and Progressivism INC.
We want the Swamp, or what Palin called back then, the Jacuzzi, drained. During the Obama years, Bernie Quigley wrote several articles on Palin and about what she represented to the American middle. He, like most of Palin’s ardent fans, always had her in mind for filling the role that Trump did in 2016. 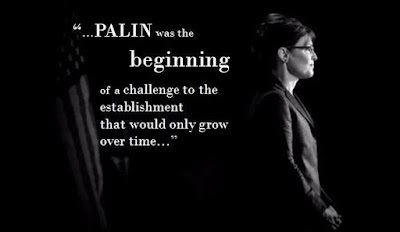 However, Sarah Palin has yet to put herself back into the fray at this time. But here is hope for the future of continuing the Trump legacy. As I said in a previous post, I believe that Trump will easily win re-election in 2020. That leaves 2024 and I do not think that Vice President Pence could be trusted to continue what Trump has started. Yes, 2024 seems like a long, long time ago and a galaxy far, far away but it will be here before you know it. I predict that the same ruling class who shunned and loathe both Palin and Trump, will be foaming at the mouth to take control of the system once Trump gets ready to leave office. That must not happen. As I’ve stated before, Sarah Palin could again run for Governor in Alaska in a year and easily win her old job back. Or she could continue to work outside the system, build her personal wealth and mount a run for president during the last half of Trump’s second term. I or other Palin aficionados like Bernie Quigley don’t really know what she will do. But what we do know is Sarah Palin is a woman who believes in destiny. She once wrote in her first book of how, even as a young girl, she believed that everyone has a destiny here on Earth. Most of her longtime supporters believe that Sarah Palin’s destiny is to become the first female President of the United States of America.